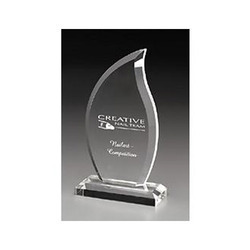 Prominent & Leading Manufacturer from Delhi, we offer acrylic memento. The company is well known in the market for the manufacture and supply of a wide range of Acrylic Mementos which are available in a range of colour, shapes, sizes, designs and patterns. These mementos are used for gifting and they make for excellent home decor items and they have been priced at very reasonable rates in the market and have a very attractive look.